All the transactions we have made are subject to my terms!!! 1. Please read my terms and conditions carefully before trading. If they meet my requirements, please start our trading. If you do not meet my requirements, all the losses caused by your own responsibility,I will not take any responsibility!!! I only accept American gift CARDS!!! I do not accept CARDS over $100!!! 3. Please upload clear and complete card, if the card you upload is unclear, I will refuse this transaction!!! 4. Please do not upload the used CARDS, I firmly refuse to trade, and report all these to the moderator in the screenshot. 5. Please do not upload any CARDS before the conversation!!! 6. If your card is not activated or not the one I need, I will refuse this transaction. 7. If your card is valid, I will release my BTC in 1-2 minutes. 8. Please do not rush, wait patiently!!! 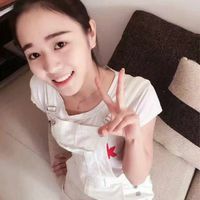 I am a seller that pays attention to credit standing, cooperate happy!!! Биткоины Paxful Купите биткоины через iTunes Gift Card Покупайте биткоины используя iTunes Gift Card за USD Продукт №: :is_hashed 5 позитивный отклик на основании 1 отзывов 5 позитивный отклик на основании :feedback_total отзывов $7190.08 USD Сейчас Доступно от: cocokameng Онлайн. Купите сейчас!